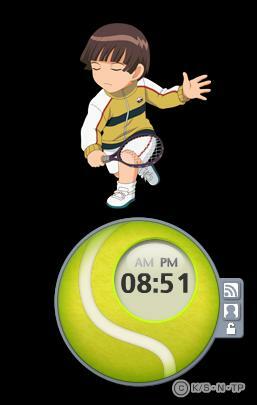 Ummmm, I've been asked about the little Tenipuri clock on my desktop, so I've uploaded the applications and I'll post the links here. 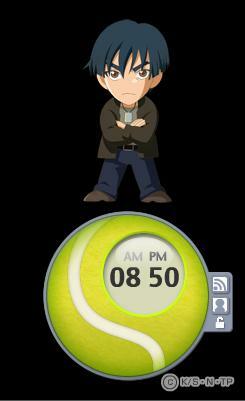 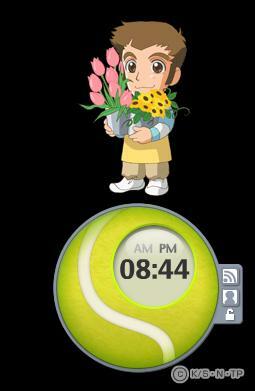 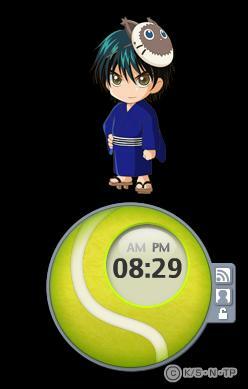 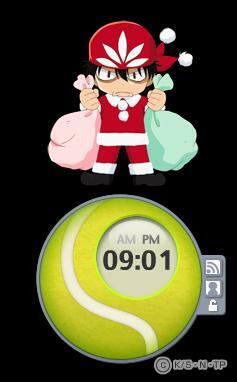 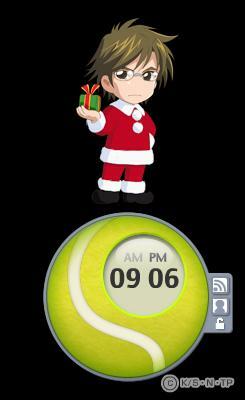 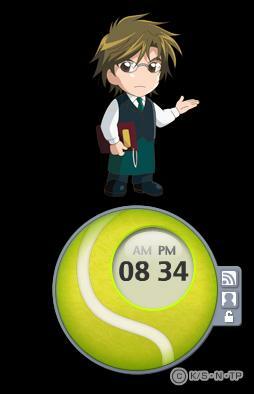 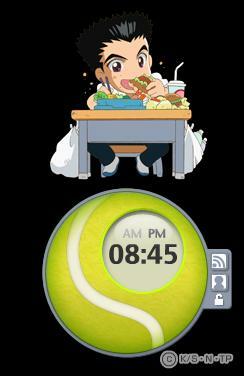 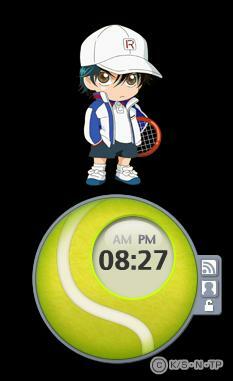 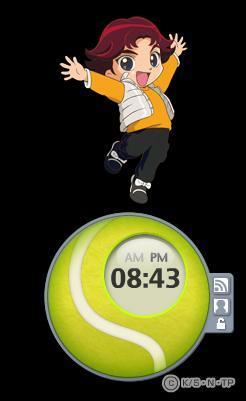 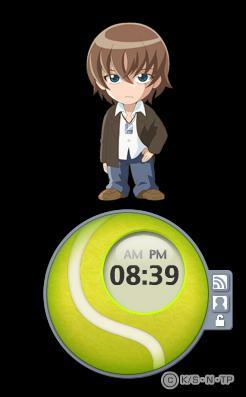 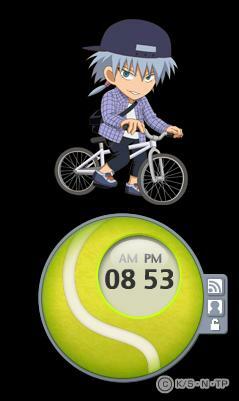 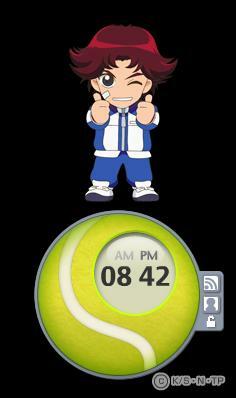 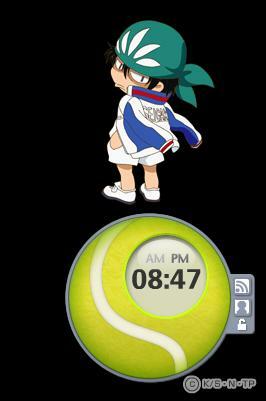 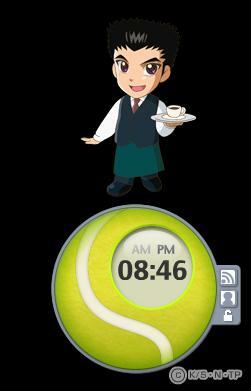 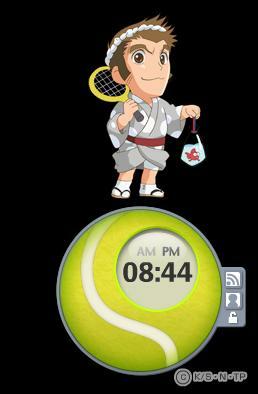 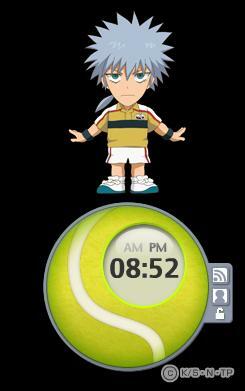 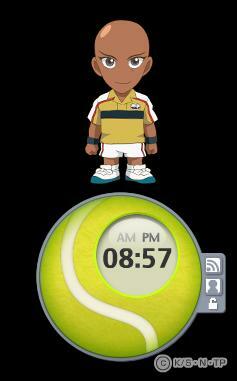 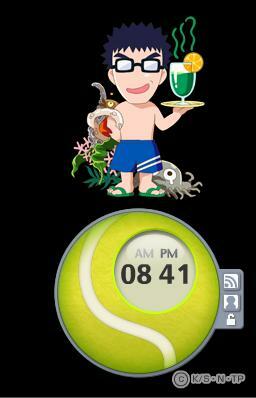 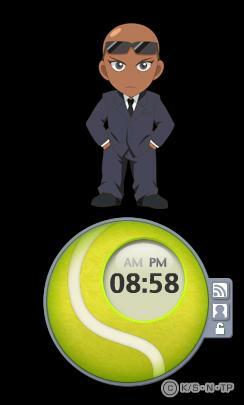 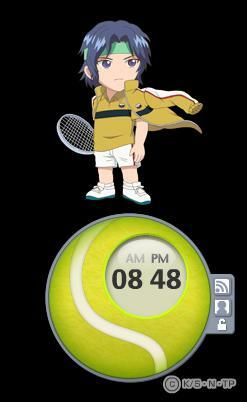 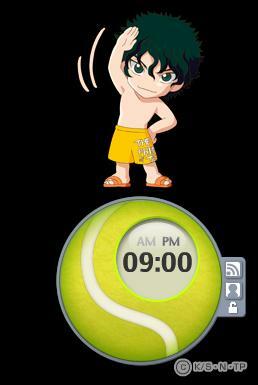 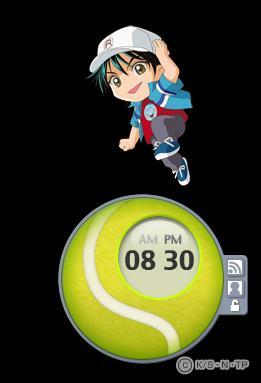 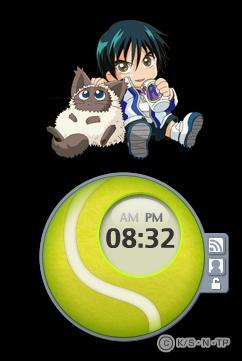 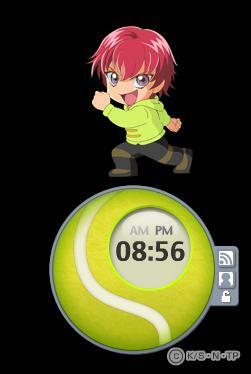 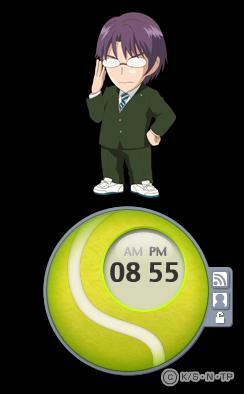 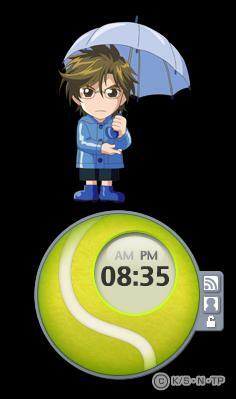 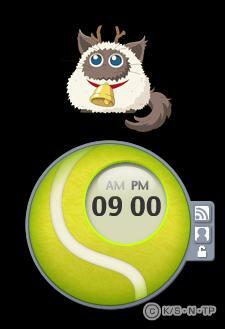 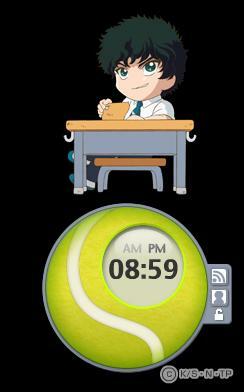 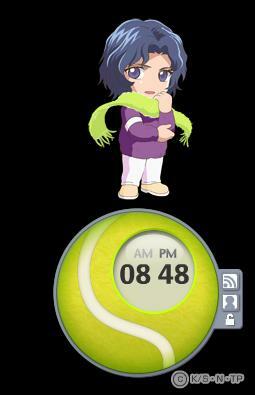 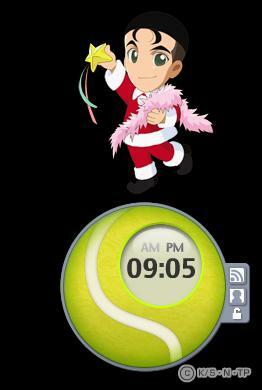 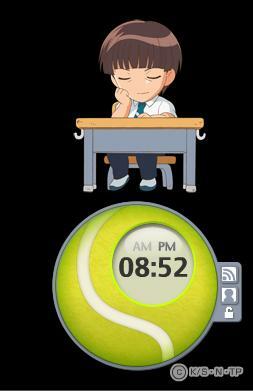 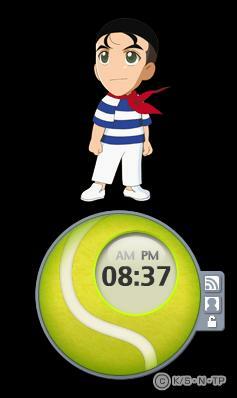 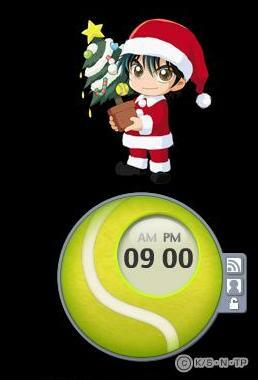 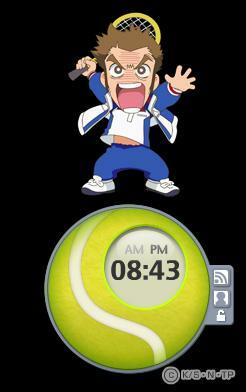 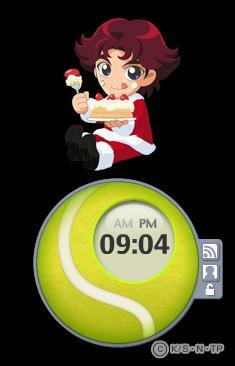 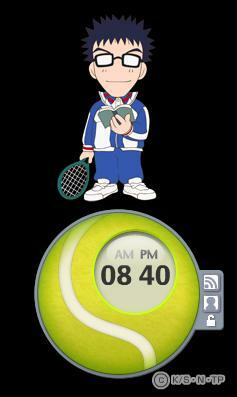 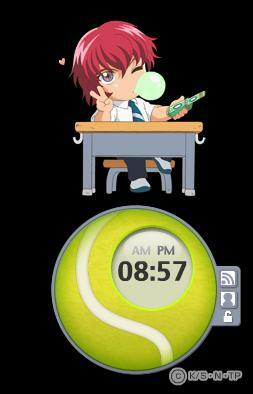 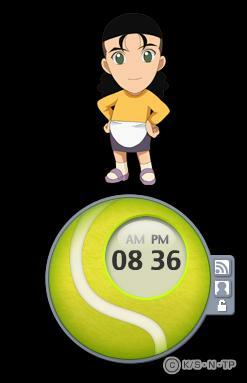 The Tenipuri clock and news updates (called "Tenipuri Widget") has actually been available to download for a very very long time on the official Tenipuri website ^_____^ But if you haven't gotten it, go grab it!!! 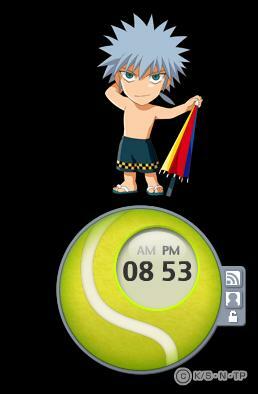 My background is black, that's why it looks black, but it'll show up like this on whatever background photo you have on your desktop =) You can also move the icons anywhere you want, next to the tennis ball clock, to the other side of the desktop, anywhere is okay! 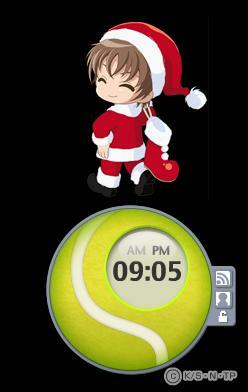 I was just wondering - is there anyway to remove it? 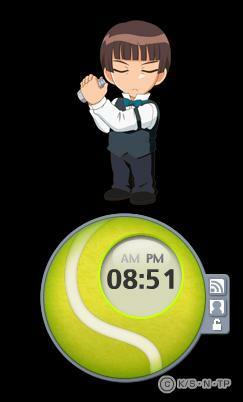 Or just deleting the file will get rid of it...? Personally, I'm gonna be keeping it ^_^ but just in case.